When it comes to maintaining your home, it’s always very easy to keep up with the interiors, as you are spending much more time inside and therefore you begin to notice certain things that need touching up or fixing. The exterior of your home however, is very often neglected and forgotten about, especially over the colder months. It may not seem like it makes much difference overall, but your homes exterior creates a first impression of your home, so you want it to look as welcoming as possible. From the front to the back of the house, you often find that many homes have areas of decking or paving to help create a solid surface. These areas can become very messy over the months, especially when the weather isn’t the best. Give your decking a good clean and wash down, removing any marks or dirt that may be causing it to discolour or become slippery and dangerous. You should then look at restraining the wood to bring the colour back and add more life to the area. Similarly, if you have paved areas around your garden, give them a thorough wash down with a pressure washer to remove any stubborn dirt that is making the area look a mess. Pick out any weeds that have begun to grow in between the paving cracks and you’ll instantly see that the whole area looks fresh and neat. Checking your property’s roof every now and then is really important, as it’s hard to tell exactly what state the tiles are in when you’re standing on the ground level. 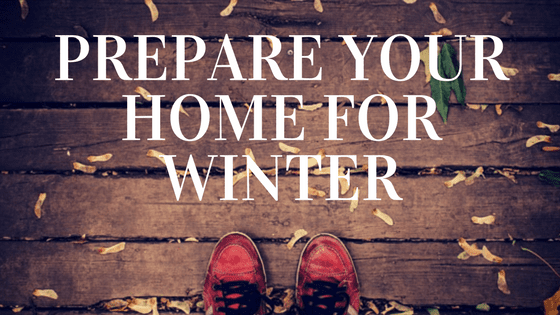 You often find that throughout the winter months, there may be heavy weather conditions that can cause damage to your roof and tiles. The best way to safely check your roof is to invest in some roof ladders and have a helping pair of hands to ensure you’re safe and stable when checking. You only need to scan the area for some tile damage, as you’ll be able to see if any have fallen down, cracked or are in need of replacing before they break. If you do need your tiles replacing, you need to get a local handyman to help, as this isn’t a job that can be done by somebody untrained in the trade. Whilst you have access to your roof, it’s always beneficial to check the gutters and drainage pipes too, as this is often where lots of dirt and debris can gather, which could in turn have an effect on the pipes on ground level. Check to ensure that all of the pipes and gutters are clear from any rubbish, as this will ensure they work properly and don’t cause any further issues. Creating a warm and welcoming front of house is really important, especially when you want to set the right tone for the rest of your home. A very easy yet effective way to create a fresh, welcoming feel is to attend to your bushes, hedges, lawn and plants to ensure that they are in a healthy condition. Having healthy greenery surrounding your home will instantly produce a neat, organised feel that will give your home a beautiful first impression. Trim all of your hedges and bushes back to a suitable length, ensure your lawn is cut and remove any unwanted weeds from around the outskirts of the grassy area. This will simply neaten the area and make it much more enjoyable when the warmer months arrive. Giving your windows a good clean is a really good way to ensure that they look pristine, as well as helping them last longer. By simply cleaning your windows, you can transform the look of your whole house and add a much more glamorous feel to the area. You’ll instantly notice that the house looks fresh and full of character. Having clean windows will also allow lots of natural light to filter through the interior of your home, which will really help to make the space feel much fresher and brighter.